*** Has Uri been Finally Avenged? As tactical military operations, these raids were an outstanding success. But a larger question remains. India’s forces carried out a se­ries of successful pre-emptive surgical strikes 3-5 km across the Line of Control (LC) on ter­rorist launch pads in the wee hours of the morning of 29th September 2016. The terrorists were planning to infiltrate and conduct Uri like operations in J&K and other metros. The In­dian forces eliminated 38 ter­rorists and two Pakistani soldiers, injured nine, and ex­tricated themselves without suffering any casualties. With­out going into details, it is clear that the paratroopers were in­ducted by aircraft along the LoC, and mounted a surprise raid on the unsuspecting ter­rorists, As tactical military operations these raids were an outstanding success. …the larger question is: has Uri been avenged? 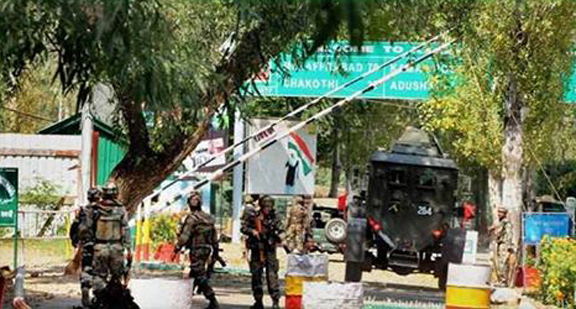 What about the many incidents be­fore Uri? Are those all buried unsung and forgotten and Pa­kistan forgiven? It is a sign of bold decision making at the highest political and military level, excellent ac­tionable intelligence, meticu­lous planning, inter-service coordination of the highest or­der and finally raw guts and courage of the Indian soldier. However the larger question is: has Uri been avenged? What about the many incidents be­fore Uri? Are those all buried unsung and forgotten and Pa­kistan forgiven? This operation was a success because the government had the leadership and political will to face the consequences. The military trains to be ready to execute any task against an enemy provided the govern­ment wants it to do so. Unfor­tunately the earlier dispensa­tions at the Centre were not bold and decisive enough to take the harder option. Prime Minister Narendra Modi now has a singular opportunity to shape a Pakistan policy that is grounded in realpolitik and which gives him realistic options and leverages. 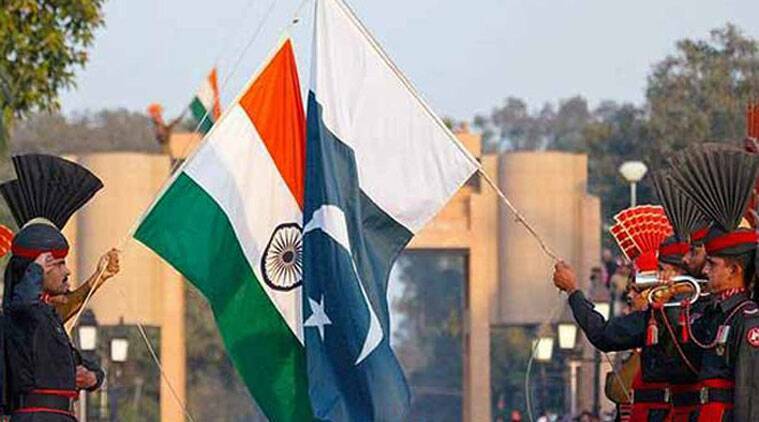 If there is one element in Prime Minister Narendra Modi’s foreign policy that has baffled foreign policy analysts, it has been his Pakistan policy. Oscillating between the two extremes of ‘Jhappi’ (bonhomie, hugs) and ‘Katti’ (no talks, retaliation threats), alternately pleasing and frustrating both hawks and doves, it gave rise to an inordinate amount of speculation about who was in charge. It also lacked coherence. The attack on the Army camp at Uri, which left 18 soldiers dead, is not the first such attack during Mr. Modi’s tenure but could well become the inflection point in his Pakistan policy. Political leadership lies not in predicting events but in using them as inflection points to strategise, design and drive a new policy. India’s government may want calibrated strategic escalation, but this genie will not be put back in easily. We do not know the full details of the surgical strike along the LoC. But the official narrative around it has been professionally surgical. This was a limited strike to pre-empt terrorists from entering India. India acted within its rights. The target was terrorists, not Pakistan’s army or territory. It is for now envisaged, officially, as a limited operation. The diplomatic circumstances around the operation have used this particular conjunction in global politics, and India’s built-up diplomatic capital well. But in the wider discourse and ideological framing, there is a sense, to use the line attributed to Ceaser when crossing the Rubicon: Alea iacta est (the die has been cast). The operation itself is not unprecedented. But the operation’s public use as a statement of India’s intent and resolve is new. The operation, by its public embrace, becomes the declaration of a policy. Its immediate psychological effect has been to boost confidence in our capabilities. It will also, therefore, change expectations, and potentially, the assessment of future options. It enhances Prime Minister Narendra Modi’s standing. It gives him unprecedented political capital, both for his foreign and domestic agenda. Has India now called Pak’s nuclear bluff? Based on receiving specific and credible inputs that some terrorist teams had positioned themselves at launchpads along the Line of Control to carry out infiltration and conduct terrorist strikes inside Jammu and Kashmir and in various metros in other states, the Indian Army conducted surgical strikes at several of these launchpads to pre-empt infiltration by terrorists. The operations were focused on ensuring that these terrorists do not succeed in their design to cause destruction and endanger the lives of our citizens. During these counter-terrorist operations significant casualties were caused to terrorists and those providing support to them. The operations aimed at neutralising terrorists have since ceased. We do not have any plans for further continuation.” Thus spake Lt. Gen. Ranbir Singh, the director-general of military operations, on September 29. Yesterday evening, as I parked my car in front of gate no. 9 and walked into South Block (Indian Army Headquarters), I looked up at the grey-golden New Delhi sky. I tried hard to see if Pakistani nuclear warheads were slamming into the ground and if Chinese paratroopers were really landing atop Rashtrapati Bhawan. I saw neither. I shrugged my shoulders, smiled, and walked inside AHQ for that obligatory cup of black coffee (always without sugar), and the much-needed camaraderie. I found both. The Indian Army never disappoints. Now that we have crossed the Rubicon, that much vaunted Line of Control, caused havoc, and come back without any casualties, it is time to put things in perspective. This is a time to celebrate, but it is also a time to be on top alert. Pakistan will hit back, as sure as night follows day. And we are ready. To those who doubted our ability and resolve, you may want to reconsider your opinion about the Indian Army. I hope we have given you enough faith to go by. We are not Seal Team 6. We are Indian Army Special Forces. This is our backyard. We are better. To those armchair strategists who cried hoarse and created absolute panic about Pakistani tactical nuclear warheads, China’s response, CPEC, Russia and everything between Mongolia and Disneyland, please take a deep breath and relax. There are no Pakistani induced mushroom clouds over Delhi. And there are no Chinese paratroopers. In fact, there is almost no reaction from China. And finally, to those who believed in the Indian Army, my heartfelt gratitude. Thank you for believing in us. We have never let you down. Your faith means enough for us to die for. This is your army. The third North East Connectivity Summit was organized in Agartala from September 21-23, 2016 against the backdrop of a number of positive developments. 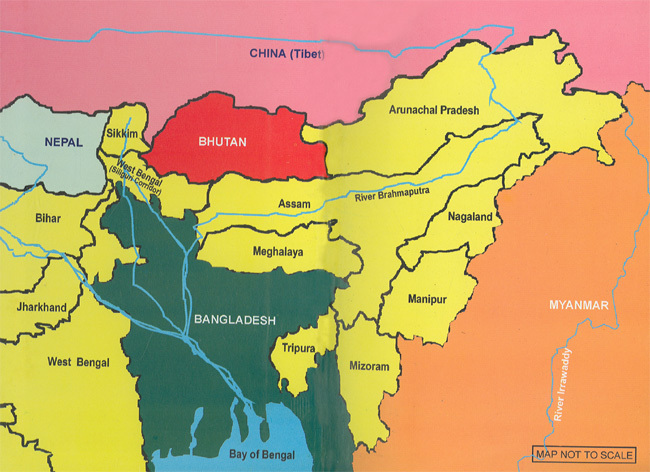 These are the unprecedented focus on development of roads, inland waterways, railways etc in the Northeastern region, the emergence of a democratic Myanmar, improving ties with Bangladesh, a resurgent foreign policy and above all the emerging potential of Northeast (NE) India as a connecting frontier for the South-East Asian economy. The recently announced plans of awarding road projects of 1 lakh crore rupees in the NE in the next five years and the declaration of 18 national waterways in the region have put the NE in developmental focus. Along with the initiatives like Make in India, Skill India and the increased attention in improving international economic ties with countries like Myanmar, Bangladesh, Bhutan, Nepal, etc. with NE and West Bengal (WB) at the helm of affairs, there is now a positive and concerted plan of action. The development of connectivity will have a multiplier effect on the region’s growth besides paving the way for industrial development. It aims to increase economic ties with Nepal, Myanmar, Bangladesh and Bhutan with the Northeast region. The specific areas for investments in the Northeast region include transport infrastructure (roads; inland waterways; air connectivity), agro-food processing, tourism, energy, IT & ITES, telecom and textile, hand loom & apparel. On September 18th terrorists came across the border from Pakistan, attacked a fortified army base in Indian Kashmir and killed 19 soldiers. While the dilemma India confronts in deciding how to respond hasn’t changed substantially since the Mumbai attacks in November 2009, the political cost of inaction with each new attack is higher for the Hindu nationalist party. After the 2009 attacks, I listed six changing India–Pakistan equations; five remain relevant. First, the balance between military response and inaction is shifting towards the former. With each fresh terrorist outrage, the clamor for disproportionate punitive military strikes—‘a jaw for a tooth’—grows stronger. Speaking in Kozhikode, Kerala on 24 September, PM Narendra Modi effectivelyreaffirmed India’s policy of strategic restraint. Addressing the people of Pakistan over their rulers’ heads, he simultaneously sent a strong message to Hindu hotheads itching for war: patience has paid big dividends. Instead of internationalizing the Kashmir dispute, terrorist attacks point the finger of criminality at Pakistan. India grows stronger while Pakistan is increasingly isolated internationally. Thirteen months later when Niyogi was released from jail, workers welcomed him enthusiastically to form a new union – Chhattisgarh Mines Shramik Sangh (CMSS). The exploitation they faced had only increased during the months of Emergency. The new union succeeded in winning several battles for the workers. This alarmed those in power, who decided to take action against the new initiative. When the workers held their next struggle, the police opened fire on protestors who were resisting the re-arrest of workers. Eleven workers were killed. Niyogi was arrested. But this incident only added to the workers’ determination. The post-Emergency situation at the national level was also favourable and support poured in from several places. Soon after, an agreement was signed that conceded to most of the workers’ demand and Niyogi was released. Most of the billion-plus Indians still have little or no internet access. Google released a series of products in India Tuesday to connect more of the country’s 1.3 billion people to the world, even if they have poor or no internet connection. Several of the apps – YouTube Go, the Play store, and a Google Assistant that understands and speaks Hindi – don’t require fast connectivity, or, in some cases, any connectivity at all. Google Station, the public Wi-Fi initiative, is also working to bring wireless access to India's 400 train stations. So far, 50 stations have internet access, and the company that number will double by the end of the year. These products and initiatives mark progress for a country with over a billion people, few whom have internet access. They may also make India abellwether for the rest of the world, as Google chief executive Sundar Pichai noted in an op-ed published in the Indian newspaper The Economic Times to coincide with the Google event. In India, 900 million people lack internet access, according to a 2015 study by the Pew Research Center, in large part because of the lack of Wi-Fi infrastructure and the high cost of phones and computers. Google is tackling the first of these. On its second “Google for India” event in New Delhi Tuesday, the company announced the steps it is already taking. One app is YouTube Go. Available only in India for now, the app takes advantage of the fact many Indians primarily access the internet through their smartphones, many operating at 2G or lower. With YouTube Go, a user with a poor internet connection choose to download or stream a video at a lower resolution to speed things up or use less data. Users can also preview a video by tapping on a thumbnail, without having to download the whole video first. They can also share videos with their friends through a Bluetooth connection, according to TechCrunch. If coming under attack from India was not enough of an embarrassment for Pakistan, getting snubbed by their oft-described ally, the United States (US), must not have lifted their spirits. Earlier, the US would often play the role of a neutral peacemaker whenever the two South Asian nuclear nations came to a head. But for some time now, it seems like good-old Uncle Sam is not interested in shielding its irksome “ally” Pakistan. In politics – whether national or international – there are no permanent friends or enemies. But for now, it seems like Pakistan is fast running out of friends it can even partially count on. This is the age of trilaterals . From Indo-Pacific to the European hinterland, trilaterals in all shapes and forms are emerging by the day. India too has taken to this diplomatic tool with gusto. One trilateral endeavour shows that Indian diplomatic heft is growing even in its immediate vicinity. India has long struggled to make the world, and especially the US, recognize its key role in Afghanistan. This now seems to be changing. And as New Delhi seems intent on tightening the screws on Pakistan post-Uri, Afghanistan has also acquired a new salience. On the sidelines of the UN general assembly’s 71st annual session, India, the US and Afghanistan met last week to exchange views on the situation in Afghanistan and on “regional issues of mutual interest”. The three states underscored their shared interest in combating terrorism and advancing peace and security in the region even as they explored ways to “coordinate and align” assistance with the priorities of the Afghan government in the war-torn country. India and the US decided to relaunch this trilateral engagement during the second India-US Strategic and Commercial Dialogue in New Delhi last month. Though it was in existence even earlier, the US did not really put its weight behind the engagement for fear of annoying Pakistan. It was discontinued in 2013 largely because of this indifference. Beijing’s interest continues to rise in positioning Pakistan as a counterweight to India, eventually bringing the scenario of a two-front war vis-à-vis India. New Delhi has, therefore, been stepping up modernisation of its armed forces in order to counter the assertive posture of the Chinese. Fifty-four years ago, on 20 October 1962, with the world’s terrified gaze fixed firmly on the United States-Soviet nuclear standoff in Cuba, China attacked India. Provoked by a territorial dispute and tensions over Tibet, the war was brief, and China emerged victorious. Beijing declared a unilateral ceasefire on 21 November that year, and the Chinese People’s Liberation Army (PLA) withdrew to its pre-war positions. However, the war still casts a long shadow over Sino-Indian relations. While the conflict is long since over, the relations are still a mess. Thus, to this day, China continues to claim the Indian state of Arunachal Pradesh while New Delhi lays claim to the Chinese-controlled Aksai Chin territory. India still sees China as a nationalist, aggressive power which seeks to dominate Asia and one that might once again strike unexpectedly, just as it did in 1962. Naturally, China’s recent assertiveness on the border issue and the PLA’s huge military build-up bolster such fears. One month after the failure of the coup on July 15, Turkey decided to invade Syria. The historical record suggests this is a very bad idea. Here is why. On August 24, 2016, 450 Turkish troops, supported by tanks, armored trucks, air, and artillery support, crossed the Syrian border as part of Operation Euphrates Shield. Initially, things seem to go well, though ominous signs already loom on the horizon. Pushed by Erdogan’s pride and anger, nationalist public opinion, and a strong urge to justify sunken costs, the Turkish army may get entangled in an endless counterinsurgency campaign. Unfortunately for Turkey, its military forces are undergoing a severe crisis that undermines its capacity to conduct such warfare. After the abortive military coup in July, the government engaged in a series of sweeping purges in its armed forces. More than 2500 officers, including at least 119 generals and admirals, were arrested or discharged, in addition to sweeping purges in the judiciary, police, schools, and universities. The regime also purged MIT, Turkey’s national intelligence agency, and as Gönül Tol maintained, its remaining agents are likely to invest more resources in fighting the elusive “Gülen conspiracy” than real terrorist threats. The connection between the coup attempt in July and the military adventure in August is quite direct. One Turkish observer wrote that the anger on the coup brought Erdogan the public support needed for such an adventure. In TheWashington Post, Erin Cunningham and Liz Sly offered convincing evidence that the operation was delayed for almost one year by officers who eventually participated in the coup. If this information is true, then their purge enabled Erdogan to overcome remaining resistance and launch the invasion. Unfortunately for Turkey, the ramifications of the coup on the future of its Syrian intervention may be even bigger. Turkey is going into a military adventure in Syria precisely when its army is least prepared for such a task. As we shall see below, purges and coup-proofing treatments might be dramatically detrimental to military effectiveness, both in counterinsurgency and conventional wars. To use a medical metaphor, they are similar to chemotherapy treatments: very effective in fighting cancer, but at the same time ruinous to essential bodily functions. The South Africa-Iran Deputy Ministerial Working Group (DMWG) will kick off on Thursday in Pretoria. To be hosted by International Relations and Cooperation Deputy Minister Nomaindiya Mfeketo, the session is expected to review and enhance bilateral relations between Tehran and Pretoria. “The DMWG provides impetus to the Structured Bilateral Mechanism and is mandated to track progress in normalising trade and financial relations between the respective countries in the post-sanctions era and to guide and institute measures in this respect,” South Africa’s Department of International Relations and Cooperation (DIRCO) said on Wednesday. The DMWG is meant to ensure the South Africa-Iran bilateral relationship progresses into a substantive strategic partnership within targeted sectors. Thursday’s meeting will focus on the outcomes of the April Presidential State visit to Iran, as well as the enhancement of trade, investment and economic relations. “In addition, the DMWG will assess the implementation of the South Africa-Iran Strategic Framework. It is expected that the outcome of the meeting will subsequently inform the substantive part of the South Africa-Iran Joint Commission,” the department said. Until the Wahhabi conquest of the Arabian peninsula at the turn of the last century, the mixture of sects there was as diverse as it was anywhere in the old pluralist Middle East. In its towns there lived, among others, Sufi mystics from the Sunni branch of Islam, members of the Zaidi sect, which is linked with the Shia branch of Islam, Twelver Shia traders, and seasonal Jewish farmhands from Yemen. From the eighteenth century onward, successive waves of warriors from the Wahhabi revivalist movement, formed from Sunni tribesmen in the hinterland, have struggled to enforce a puritanical uniformity on the cosmopolitan coast. Toby Matthiesen recounts in The Other Saudis that, a few years after taking the eastern shores of the peninsula from the reeling Ottomans in 1913, Wahhabi clerics issued a fatwa obliging local Shias to convert to “true Islam.” In Hijaz, the western region that includes Mecca, Medina, and Jeddah, militant Wahhabi clerics and their followers ransacked the treasuries of the holy places in Mecca, lopped the dome off the House of the Prophet in Medina, and razed myriad shrines. Bombs, domestic and foreign, are defining the nature of politics in the United States, the European Union and among radical Islamist groups and individuals. The scale and scope of bomb-politics varies with the practioner. ‘Wholesale bombers’ are state actors, who engage in large-scale, long-term bombing designed to destroy adversary governments or movements. ‘Retail bombers’ are groups or individuals engaging in small-scale, sporadic bombings, designed to provoked fear and secure symbolic outcomes. Apart from planned bombings, there are improvised bombings committed by deranged individuals who engage in suicide attacks without any political backing or coherent purpose. In this paper we will focus on the nature of ‘wholesale’ and ‘retail’ bombings, their frequency, political consequences and long-term impact on global political power. The US and EU are the world’s foremost practitioners of ‘wholesale bombing’. They engage in serial attacks against multiple countries without declaring war or introducing their own citizen ground troops. They specialize in indiscriminant attacks on civilian populations – unarmed women, children, elders and non-combatant males. In other words, for the ‘wholesale bombers’, unleashing terror on societies is an everyday event. A recent op-ed in the New York Times urged President Obama to reverse decades of official U.S. nuclear doctrine and openly commit the United States to a no-first-use policy. Polls suggest that the American public would likely support an end to the first-use doctrine, but David Sanger and William Broadrecently reported that Obama is unlikely to adopt such a change. In the wake of the outrage surrounding North Korea’s latest nuclear test, why would it be beneficial for the United States to retain the option of first use? In this article I consider two situations in which the United States might introduce nuclear weapons. 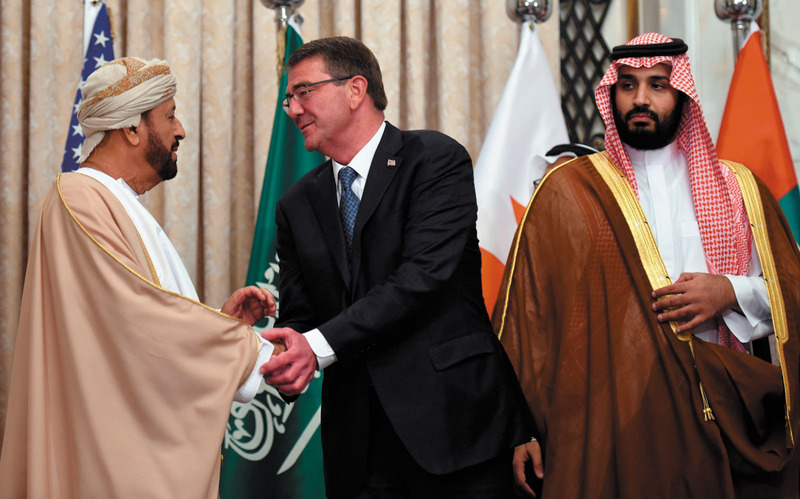 With these optimistic scenarios in mind we can then evaluate the drawbacks of maintaining a first-use doctrine and consider whether the doctrine itself provides any benefits for U.S. national strategy. Although we may dislike the idea of the United States launching a first strike, retaining the option to do so may be the best way for the United States to achieve its strategic objectives given current constraints on its ability to deploy additional conventional forces. Imagine that the United States detected an imminent conventional attack on South Korea. The United States might decide to launch a first strike on North Korea’s nuclear facilities to prevent it from using its nuclear weapons against South Korea. (A “first strike” usually refers to a nuclear strike like this one, in which one state launches a nuclear attack designed to eliminate the opponent’s nuclear arsenal. “First use” describes the use of nuclear weapons before the opponent has done so and could entail the use of smaller tactical nuclear weapons on the battlefield. In these terms, all first strikes constitute a first use of nuclear weapons, but not all cases of first use would be considered a first strike.) This would protect both South Korea and American troops on the peninsula from a nuclear attack. North Korea does not yet have a missile capable of delivering a nuclear weapon to the continental United States, so the immediate risk to the American homeland would be minimal in the event that the first strike failed to eliminate all of North Korea’s nuclear weapons. Has Hong Kong's Economy Peaked? The sun may be setting on Hong Kong's once indomitable economy. From 1981 to 2015, Hong Kong sustained an annual growth rate of almost 5 percent, despite numerous global recessions. It was a testament to the power of economic freedom. For twenty-one consecutive years, The Heritage Foundation’s Index of Economic Freedom has ranked Hong Kong’s economy as the freest in the world—and for good reason. The overall tax burden is only 15.7 percent of GDP. The average tariff rate is 0 percent. The entrepreneurial environment remains one of the world’s most transparent and efficient. Hong Kong also serves as a very important banking and financial center in the Asia-Pacific region. And underpinning its free-wheeling business and trade environment are property rights rated among the strongest in the world. In recent years, however, Hong Kong’s underlying economic statistics show clear signs of deterioration. Over the last five years, despite modest global economic expansion, Hong Kong’s economy has grown at an annualized rate of only 2.3 percent, roughly equivalent to that of the United States. The government forecasts that Hong Kong’s economic growth will drop to 1 or 2 percent this year, and exports are projected to decline by 4 percent. Hong Kong’s gross national savings rate declined from 36 percent in 2008 to 25 percent in 2015, leaving fewer funds for domestic investment. The fertility rate (per 1,000 females aged 15 to 45), has fallen from 65.2 in 1981 to 35.9 in 2014, dramatically reducing the growth of the working-age population. More importantly, productivity growth, which ultimately determines living standards, faltered to a paltry 0.8 percent during the past four years. A look at Hong Kong's real GDP growth in recent years is also quite revealing. According to John Tsang, Hong Kong’s financial secretary, the economy now faces the “worst time in 20 years.” The big question is: Why the pronounced slowdown in the world’s freest economy? Three years ago this summer, Egyptians took to the streets en masse to vent their frustration at the government of then president Mohamed Morsi. The source of their discontent was the widespread economic stagnation and ideologically driven policies that came to punctuate Morsi’s Muslim Brotherhood–dominated government. The result was nothing short of a counterrevolution, as Morsi was ousted by the country’s powerful military in an almost-coup led by his then minister of defense, Gen. Abdel Fattah el-Sisi. But now, Egypt’s post-Islamist government is facing a remarkably similar situation. Beset by worsening economic conditions and rising discontent among the country’s youth, the Egyptian regime, now headed by Sisi, is decidedly on the skids—with potentially dire consequences for the country, and the region as a whole. Egypt’s woes begin with the country’s ailing economy. Indeed, statistics recently compiled by the Bloomberg news agency show just how deep the problems run. Tourism, the lifeblood of the Egyptian economy, remains lackluster, clocking in at just a fraction of what it was during the reign of former president Hosni Mubarak (1981-2011), and lower even than levels witnessed under Morsi (despite the chilling effect of the latter’s draconian policies on everything from the consumption of alcohol to bathing attire). The culprits are legion, among them mounting instability in the Sinai Peninsula and the very public downing of a Russian jetliner over Egyptian airspace by the Islamic State terrorist group this past October. The cumulative impact, however, has been nothing short of devastating. According to Egypt’sAl-Ahram newspaper, overall tourism declined by 15 percent in 2015, taking with it more than a billion dollars in badly needed government revenue. What If President Bill Clinton Had Gone to North Korea? North Korea has been busy developing nuclear weapons for a quarter century or more. The Kim dynasty is on its third leader, Kim Jong-un, who recently presided over Pyongyang’s fifth nuclear test. By the end of the year the North could possess as many as twenty nuclear weapons. Over the same two or so decades, three different U.S. presidents insisted that the Democratic People’s Republic of Korea could not be allowed to deploy nukes. But Washington policy obviously failed: the DPRK long ago crossed what sounded like a “red line.” With the Kim regime also making progress on long-range missiles, the next president may confront a North Korea capable of retaliating against American cities for any U.S. military action. This result might have been inevitable. Kim Il-sung plunged the peninsula into war and created one of the globe’s truly totalitarian dictatorships. Kim Jong-il formally institutionalized a “military first” policy. Kim Jong-un is emphasizing economic development, but only alongside the nuclear program. Negotiated denuclearization might never have been possible. Yet it’s worth wondering what would have happened had President Bill Clinton visited the North before leaving office. Secretary of State Madeleine Albright partied in Pyongyang during the brief warming of relations after negotiation of the Agreed Framework. Efforts to arrange a presidential summit foundered as the Clinton presidency ran out of time. The Kim Jong-il government fulfilled the nuclear pact, but launched a separate uranium-enrichment program which crashed relations with the incoming Bush administration. The latter tried isolation of and later engagement with the DPRK; next the Obama administration largely pushed North Korea into the background while strengthening ties with the South. The driving forces of the country’s growth—including urbanization, a rising middle class, and increasing consumer spending—are ripe for companies to seize upon. India stands to become one of the largest growth engines in the world, according to research in a new McKinsey Global Institute (MGI) report, India’s ascent: Five opportunities for growth and transformation. In this episode of the McKinsey Podcast, McKinsey senior partners Noshir Kaka and Alok Kshirsagar and MGI partner Anu Madgavkar talk with McKinsey’s Cecilia Ma Zecha about the way forward in a growth- and productivity-powered India. Cecilia Ma Zecha: Hello and welcome to this edition of theMcKinsey Podcast. I’m Cecilia Ma Zecha, an editor with McKinsey Publishing in Singapore. Twenty-five years ago, India embarked on a journey of economic liberalization, opening its doors to globalization and market forces. The IMF [International Monetary Fund] expects GDP to grow more than 7 percent this year, making India the world’s fastest-growing large economy. Powered by a rising middle class that’s expected to more than triple to 89 million households by 2025, India has an attractive long-term future and compares favorably with other emerging markets. What’s the road ahead? Our guests today areNoshir Kaka, a senior partner in McKinsey’s Mumbai office, and Anu Madgavkar, a partner of the McKinsey Global Institute. They are the authors of a new MGI report on India’s ascent, which outlines five opportunities for India’s growth and transformation. Also joining us to look at the implications for domestic and multinational companies is Alok Kshirsagar, a senior partner and leader of McKinsey’s Asia Risk Practice. Welcome, everyone. Noshir, let me start with you. What is the road ahead for India’s economy? The North Atlantic Treaty Organization’s (NATO) ability to respond offensively to cyber attacks is hindered by its previous inaction and inherent difficulties surrounding cyber defense. During the 2016 NATO Warsaw Summit, NATO officially recognized cyberspace as an operational domain of warfare alongside air, sea, and land. [i] The intended purpose of that action is to allow NATO members to strengthen cyber capabilities and network protection. [ii] This includes bringing cyber attacks under the scope of Article 5 of the North Atlantic Treaty, which states that an attack on an Ally or Allies shall prompt collective defense from the Alliance. [iii]While the move seeks to clarify cyber’s position in warfare, issues with attribution and a lack of a cyber ‘red line’ make it difficult for NATO to actually invoke Article 5 in response to cyber attacks on its Allies and partners. Inherent difficulties with establishing a cyber ‘red line’ make it difficult to know when it would be acceptable to invoke Article 5. While labeling cyber as an operational domain of warfare was not a direct response to any particular adversary’s behavior, it is clear that Russia remains the biggest concern for the Alliance. 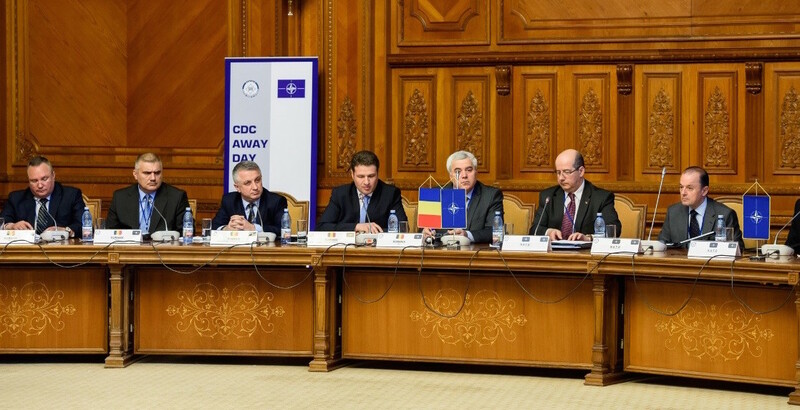 In the past, NATO has been reluctant to respond to cyber attacks on its Allies and partners. The distributed denial of service attack on Estonia in 2007, cyber blockade of Georgia in 2008, attacks on Ukrainian energy infrastructure in 2015, and numerous other incidents of cyber attacks have been attributed to Russia in recent years. [iv] Yet NATO took no offensive action to support those countries. It remains unclear what form a cyber attack would take and how severe a cyber attack would need to be in order to force NATO to invoke Article 5 or take an offensive posture. The recent Democratic National Committee hacks underscore this uncertainty and highlight NATO’s reluctance to take offensive action against Russian cyber aggression. Covert action was defined in statue in 1991 as activities of the United States government to influence political, economic, or military conditions abroad, where it is intended that the role of the U.S. government will not be apparent or acknowledged publicly. On the surface, UW does not seem very different – both covert action and UW are intended to influence a foreign power – especially when both are most often conducted through clandestine means. However, Congress explicitly excluded military activities such as UW from the statutory definition of covert action, noting that a military activity that supports an overall military operation that is apparent or will be publicly acknowledged is not covert action, even if the military activity itself will not be acknowledged.,, Congress deliberately excluded activities such as UW from the statutory definition of covert action, but more than 25 years later, confusion remains. Though ‘deniable’ covert actions and ‘unacknowledged military operations’ are legally distinct activities, there is often little difference in the practical execution and inherent political risk of covert action and UW. Adding to legislative confusion over UW, the only law that currently cites UW is 10 U.S.C. § 167(g), which grants U.S. Special Operations Command (USSOCOM) authority to “train, man, and equip” for specific activities, including UW. However, 10 U.S.C. § 167 is not an operational authority to conduct UW, it does not define the activities that comprise UW, nor identify oversight and reporting mechanisms.